There are movies so great they stick with you forever. And there are the unexpected wonders, the visually spectacular and the simply brilliant. 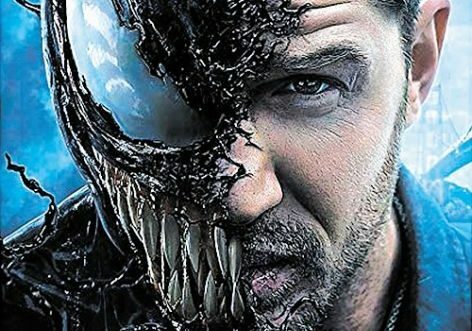 And then there is Venom, a movie so bad that two weeks later I’m struggling to remember almost anything about it. Sure, that’s partly because I nodded off for about 10 minutes during one of the most pointless, boring and stupid fight scenes in the history of cinema, one which was still going on when I woke up only to be informed by my companion I had missed almost nothing. But it’s also the hopeless acting, necessitating a complete reassessment of Tom Hardy’s career and abilities, the pathetic attempts at humour, the love interest of no interest and the odd voice of the internal superhero which instead of adding gravitas just multiplies absurdity. I could include some references here to the plot but I’d have to look it up so I won’t bother. Suffice to say that after Superman vs Batman and now this, superhero movies are dead to me, and as much as I like seeing crap movies because they are easy to review, I can’t put myself through another one even if I don’t have to pay for it.